It is a wonderful thing when the game of football creates opportunities because of academics and not the other way around. It is of little consequence how the opportunity arrives, just as long as there is a spot on the team and lifelong friendships ensue. It is in that locker room where the strongest relationships are formed and always last a lifetime. Through the tough days of training camp where character and toughness show themselves and the development of the human condition is advanced long past what every player can even fathom. 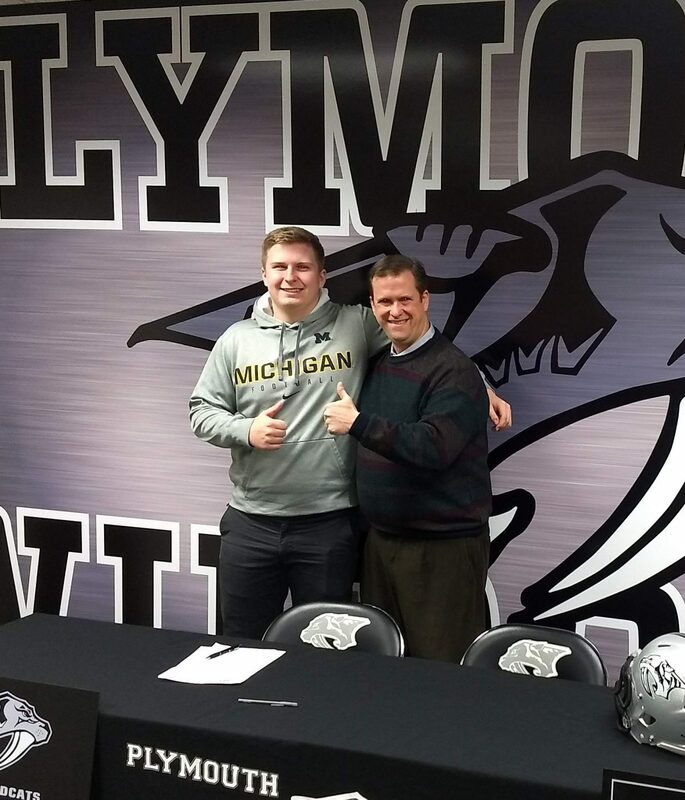 Luke Fisher does not come to Michigan as a highly sought out recruit that makes the rankings of the most elite players that will dawn the maize and blue. But make no mistake that he belongs on that very same team that they do and there are more reasons that one can count. We can start with a tenacious work ethic that extends to every aspect of his life as both a student and an athlete. This is where he thrives in the weight room, on the practice field, in the classroom and in his hometown of Plymouth as an unglorified offensive linemen. Luke will be entering one of the very top engineering schools in the nation and will be wearing the uniform of the winningest college football program as well. Those of us that know him the best, especially his parents Mike and Pam, have fostered all the traits that will make Luke a success whatever he decides to do. It has been an honor and a complete privilege to work with this rare and unique talent that will contribute to the greatness of Michigan.